Carlos A. Charles, MD is a board certified dermatologist and Clinical Instructor of Dermatology at Weill Medical College of Cornell University. He is a Fellow of the American Academy of Dermatology and American Society for Dermatologic Surgery. After completing medical school and an internal medicine internship at the Weill Cornell Medical College-New York Presbyterian Hospital, Dr. Charles completed a research fellowship focused on melanoma and pigmented lesions at Memorial Sloan-Kettering Cancer Center. He then concluded his training with a wound healing clinical research fellowship and dermatology residency at the University of Miami Miller School of Medicine-Jackson Memorial Hospital. In 2012, Dr. Charles founded Derma di Colore, a comprehensive dermatology practice that addresses the treatment of dermatologic problems of all skin types with an interest in the treatment of darker skin tones. DdC provides comprehensive dermatologic care with the latest medical and cosmetic therapies. Additionally, Derma di Colore conducts national clinical research studies with the goal of finding answers to the toughest questions for dermatologic issues that commonly affect pigmented skin types. Derma di Colore is actively welcoming new patients to the Chelsea flagship office. 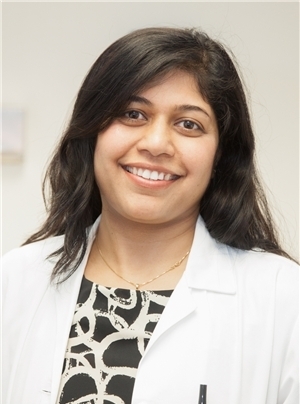 Dr. Falguni Asrani is a considerate and caring dermatologist based in New York City. She attended medical school at Dr. D.Y. Patil Medical College and subsequently did her dermatology residency at B.Y.L. Nair Medical College and Hospital, both in India. After moving to New York, Dr. Asrani did a dermatology residency at SUNY Downstate Medical Center in Brooklyn and ,subsequently, did a fellowship in Pediatric Dermatology at SUNY Downstate and then a two year fellowship at Mass General Hospital in Boston in laser research and as a Clinical Fellow. While at SUNY Downstate she was honored by being chosen to be the Dermatology Chief Resident. In addition to practicing general dermatology, Dr. Asrani also specializes in Pediatric Dermatology and in skin of color. She has special experience and training in dermatopathology, plastic surgery, diode laser and in cosmetic procedures such as chemical peels, Botox injections and microdermabrasion. Dr. Asrani is a board certified dermatologist and a Fellow of the American Academy of Dermatology and she has held various academic positions, including assistant medical officer, consultant, clinical instructor, and honorary visiting consultant. Dr. Asrani was awarded “Best Teacher Award” in dermatology in New York Methodist Hospital 2016 and a “Certificate of Excellence” in Woodhull Medical Hospital, Brooklyn NY 2018. Dr. Asrani is uncompromising in her dedication to the well-being of her patients. She is committed to creating long-lasting relationships with her patients, providing them with the highest level of care.